« Older: Caye Caulker’s Lobster Festival is ON! As San Pedro Town continues to grow, so does its culinary enterprises, with restaurants across the island offering fine service and delicious dining. 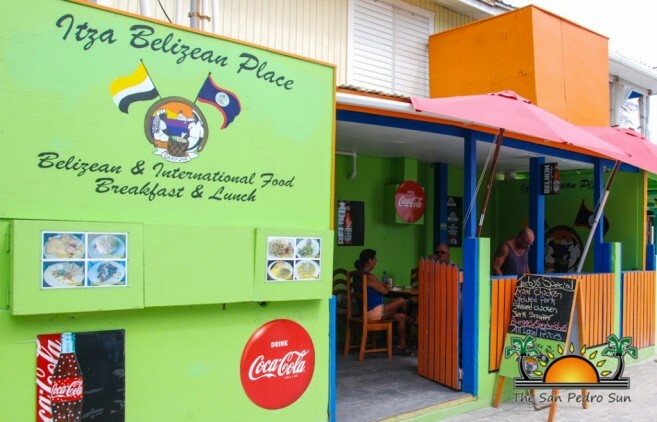 One such eatery, located near the beach in the downtown area is ‘Itza Belizean Place’ Restaurant. Offering great local and international cuisine, including special cultural dishes on the weekends, Itza Belizean Place is a welcome addition to La Isla Bonita. Options such as beef, chicken, fish, lobster, salads, succulent rice and beans and an array of homemade goodies, have customers happily choosing their favourites. Johnny Cakes and Belizean breakfasts are very popular in the mornings at Itza, as are their seasonal Conch Fritters. According to Klaitman, for a separate fee, customers can bring in their catch of the day (fish) and have it prepared by the chef. Besides providing an inviting and cozy atmosphere, they also feature full bar service with a stunning view of the Caribbean Sea, making it a popular weekend spot for many. 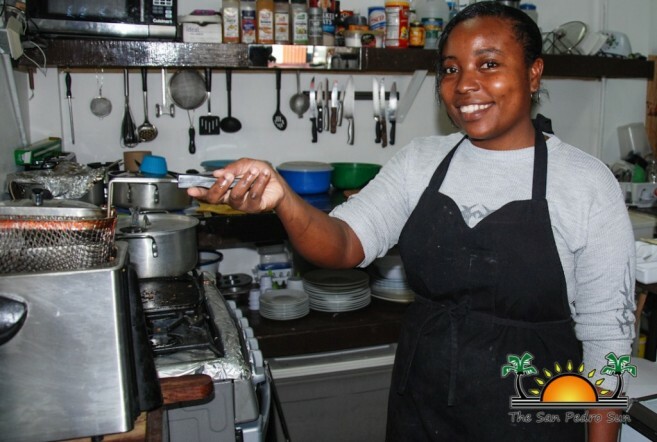 Chef Virginia Melendez, a Garifuna native of Dangriga Town in Belize’s Southern Stann Creek District, brings her extensive experience in Garifuna and Creole cooking. Each Saturday, patrons can choose among the most popular Garinagu dishes such as Hudut, and Sere to a rich Conch Soup made creole style. Melendez says that the unique flavours in her dishes are not just due to the many years she has been a proud cook, but also the passion she puts into each of her recipes. 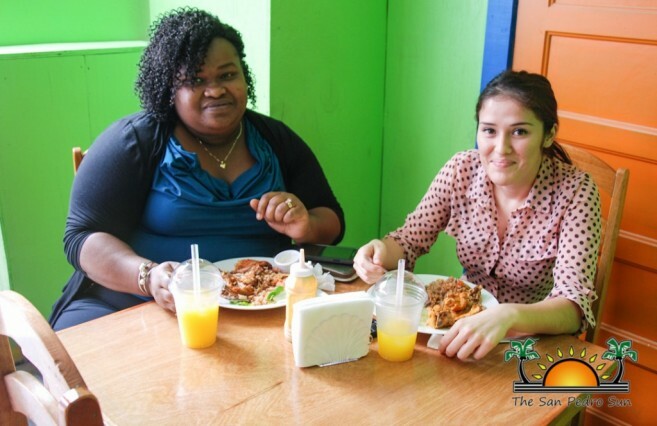 The food and the hospitality at Itza Belizean Place will make you want to come back again and again. 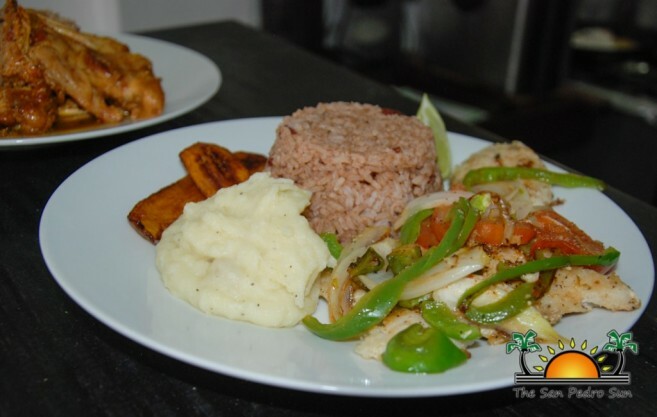 Itza Belizean Place also does deliveries within the town core area both for breakfast and lunch. The restaurant opens Tuesdays to Sundays, from 6AM to 3PM. For deliveries or more information contact 637-8555.